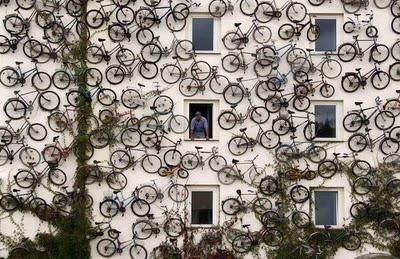 This bike shop in Altlandsberg, Germany decided to go all out to advertise their place. 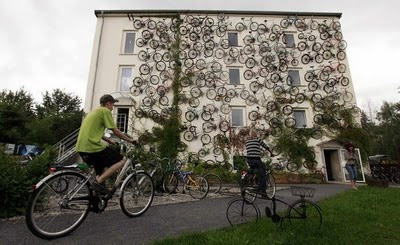 Co-owner Christian Petersen [Danish name, surprise, surprise] is visible in the window, surrounded by 120 bicycles hung on the facade. 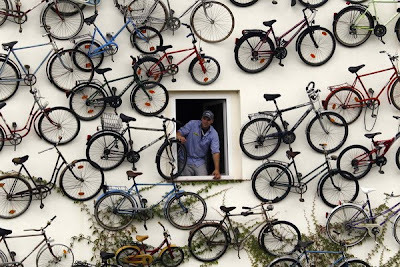 Thanks to Frits for the link!